As composers we naturally focus on sound as our main material, yet spend much of our time drawing – drawing notation. Whether with pen and paper or with notational software, we have much common gound with designers and architects at the early stages of our creative process: wrestling an as yet unrealised spatial and temporal idea onto the “two dimensional” space of the page/screen in order to communicate it to the interpreter(s); whether they be makers in the case of design, builders in the case of architecture or performers in the case of music. It is with notation that some composers challenge conventions and beliefs about musical practice; in their work the score becomes both a ‘script’ to be interpreted as well as a conceptual space. 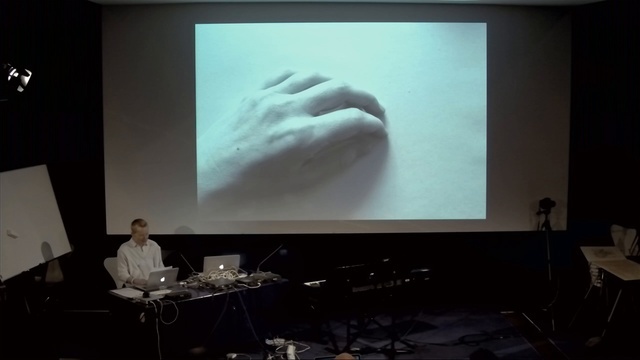 It is the demands of the sonic possibilities, technologies or imaginations as well as the notational systems used, which in turn influence the composer’s thinking… a feedback loop between the sonic and the visual.